Throughout the Middle Ages, Roman gems and cameos were highly valued as intrinsically precious objects or even as possessing magical properties. During the Renaissance, large collections of gems were formed by aristocratic collectors who sought inspiration from the classical images engraved on them, and gems have been collected for similar reasons ever since. With the exception of a few dedicated antiquaries, however, collectors and scholars over the last five hundred years or so have generally ignored late antique and early Christian gems. This study presents more than 1000 gems from different collections, more than 300 of them unpublished so far. They are presented according to different genres, themes, material and place or time of production. The catalogue is completed by about 1300 illustrations. 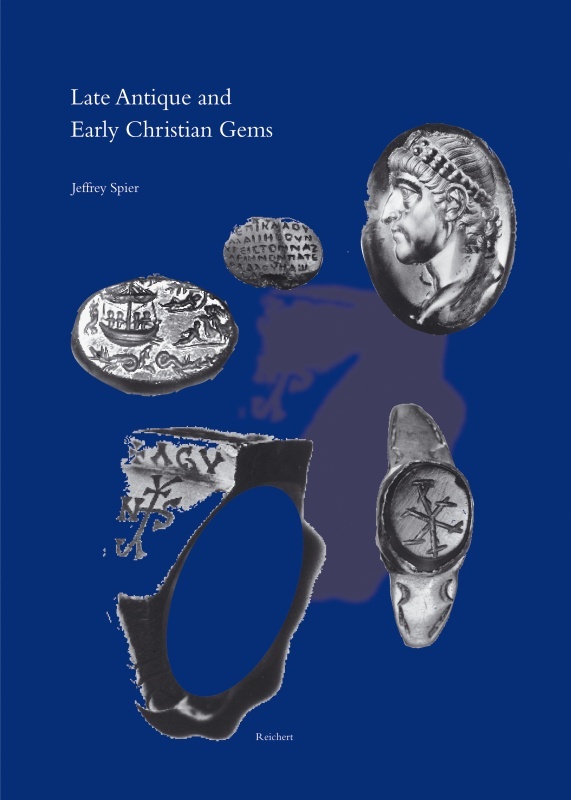 This study gathers all known engraved gems of the late antique period (late third to the early seventh centuries) and discusses their chronology, workshops, and iconographical significance. Approximately 1000 gems and cameos are described, most of which are illustrated in over 150 plates. Many of these objects have never before been published. Engraved gems used as personal seals had been used in the Graeco-Roman world for many centuries and survive today in large numbers. The gems and cameos of the late antique period are, however, far rarer, reflecting the rapid decline, beginning in the mid-third century, of this long artistic tradition. Remarkably, the early Christians of the late third and early fourth centuries began to use seals of traditional form but engraved with distinctive images and inscriptions. Symbols, such as the fish, anchor, and Good Shepherd, appear, as do Old and New Testament scenes. Although there was a remarkable revival of fine quality engraved gems at the time of Emperor Constantine and his successors, by the end of the fourth century few gems were being cut. However, several new workshops emerged in the late fifth and sixth centuries, producing gems in fine materials, such as garnet, sapphire, amethyst, and rock crystal. The iconography of these gems reflects the interests of Christian artists of the early Byzantine period. Other chapters in the book are devoted to cameos, Christian Sasanian seals, Jewish seals, magical amulets, and the history of scholarship and collecting. Three appendices discuss engraved rings, lead seals, and monograms, and much comparative material is illustrated. The catalogue presents an important body of material that has been largely unpublished and neglected. The range of Christian images found on the early gems is similar to that found in the catacombs of Rome, although it is mostly of Eastern rather than Western origin. The early Byzantine workshops identified in the catalogue attest to the revival of this classical tradition in the luxurious court art of Constantinople and other prominent cities of the Byzantine Empire. Jeffrey Spier teaches in the Department of Classics at the University of Arizona. He has published catalogues of the gem collections of the J. Paul Getty Museum and the Gulbenkian Museum in Lisbon, as well as many articles in the field. He is also the curator and author of the forthcoming exhibition, Picturing the Bible: the Earliest Christian Art (Kimbell Art Museum, Fort Worth, Texas).